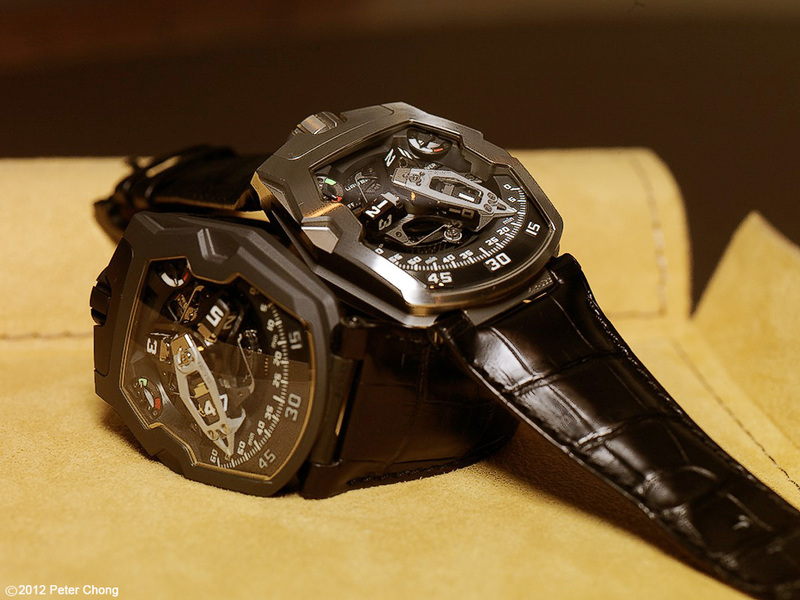 Watchscapes: High Resolution Photography by Peter Chong: Urwerk UR210: black or white? 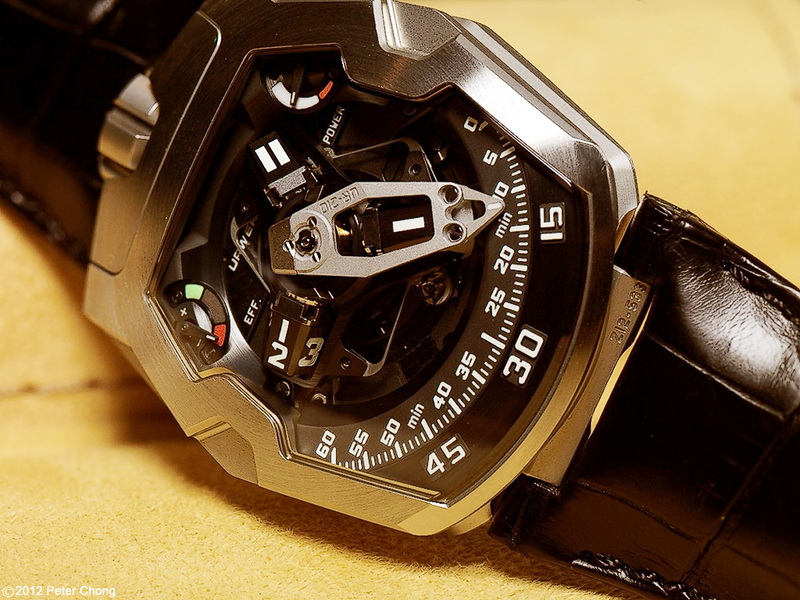 Presenting the latest Urwerk...the UR210. 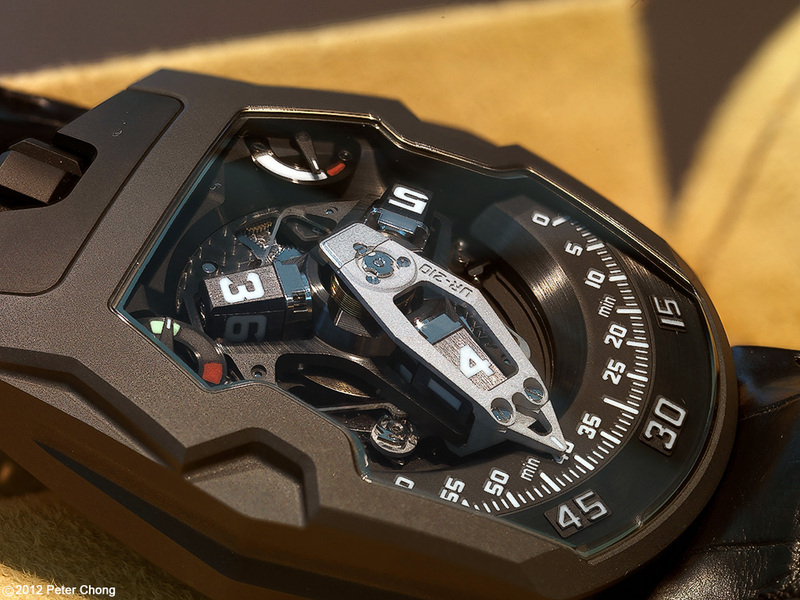 Last week, I wrote about how cool Urwerk watches were, and featured the progression of cool from the early years to the UR210. Today's post will provide some additional high resolution photographs of the UR201. 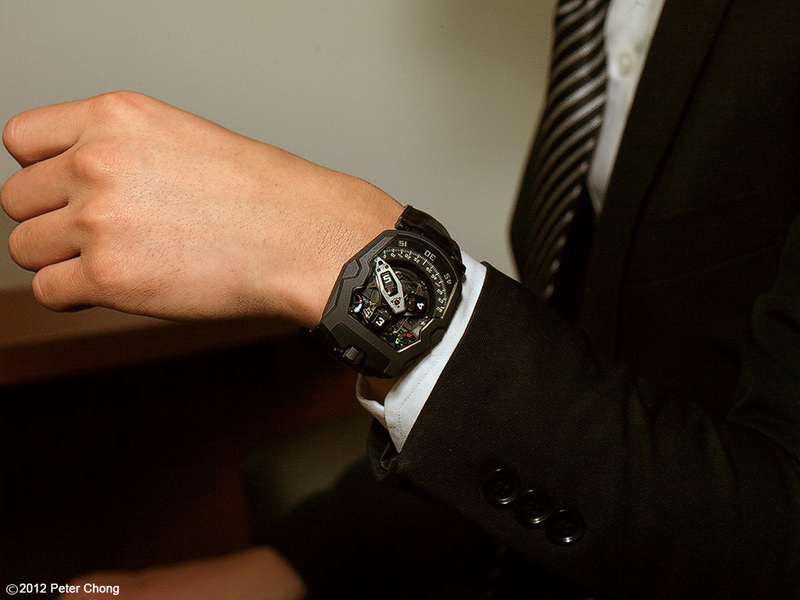 I find the visual impact of the watch to be quite amazing. It looks like a mechanical sclupture which looks macho aggressive with the exposed machine parts, and at the same time elegant. 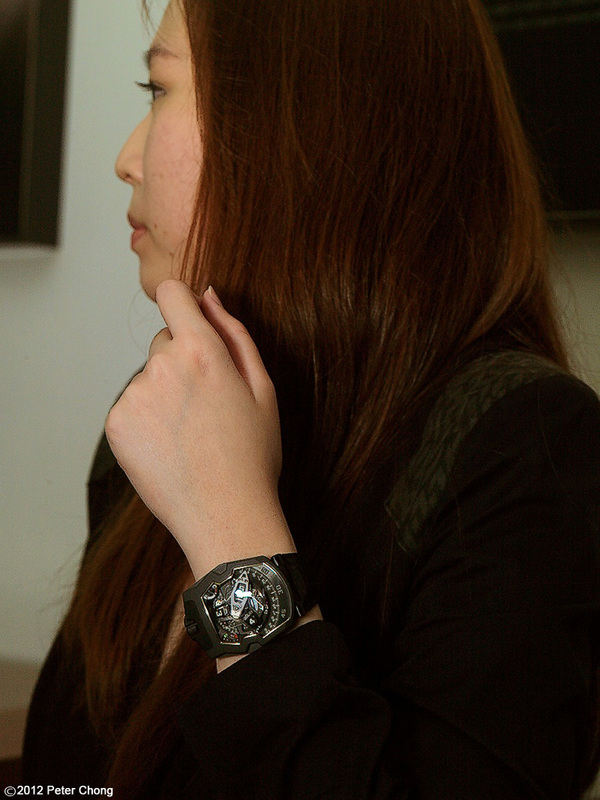 A closer look at the UR210 in stainless steel case. Note the activity indicator at 10 o'clock. This tells the wearer how active he has been in the last 2 hours....interesting new feedback to the wearer from a watch. 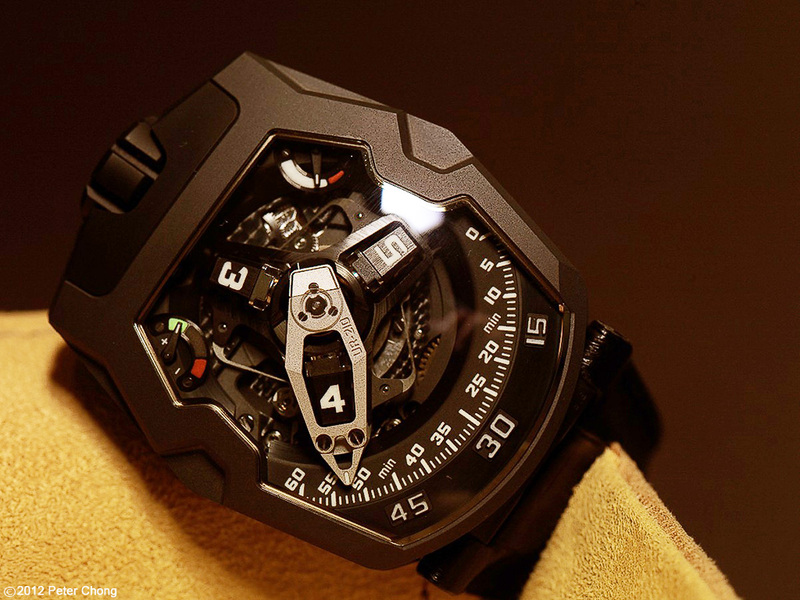 And black anodized...they look like different watches. I prefer the black case...which one do you prefer? The attention to detail and finishing is outstanding...see the following closeup, click on the image for a large 1920 wide wallpaper.